William Morris "Bill" Lawry, AM (born 11 February 1937) is a former cricketer who played for Victoria and Australia. He captained Australia in 25 Tests, winning nine, losing eight and drawing eight, and led Australia in the inaugural One Day International match, played in 1971. An opening batsman with a reputation for resolute defence, he had the ability to spend long periods of time at the crease. As his career progressed, he wound back his strokeplay to the point where he was described by an English journalist as "the corpse with pads on". Lawry was unceremoniously dumped as captain and player for the final Test of the 1970–71 Ashes series in Australia. Lawrys sacking is regarded as one of the more distasteful incidents in Australian cricket history—he was not informed personally of the selectors decision before the decision was first broadcast on radio and he only became aware of his fate when confronted by reporters. Lawry is part of the Nine Network cricket commentary team and has been in the role for over 30 years. Lawry was born in the Melbourne suburb of Thornbury. He was given the names William Morris after the early Prime Minister of Australia, William Morris Hughes. His father Alfred played amateur cricket until the age of 51. Bill never saw his father play, who was aged 47 when Bill was born. Aged nine, he played competitive cricket for the first time with the Thornbury Presbyterian Church team. He spent three years there, as well as playing for Preston Technical School. When he was twelve, he entered Melbournes district competition playing for Northcotes fourth team, working his way up to the First XI by the age of sixteen. At the time, he was apprenticed as a plumber and attending Preston Technical College. Lawry was selected for Victorias Second XI at the age of seventeen. He made a duck against the South Australians and did not see any further action for the Seconds for the rest of the summer of 1954–55. The following season, Lawry was recalled to the Seconds and scored 183 against South Australia. A few months before turning nineteen, Lawry made his debut for Victoria, against Western Australia at the Junction Oval in the 1955–56 season. He scored only three as the hosts took an innings victory and it was his only senior match of the season. He played in all but one of Victorias matches in 1956–57, but had modest results. He passed fifty only twice, scoring 51 against Queensland in his fourth first-class match, and making 74 against South Australia two games later. He made only one and seven against arch-rivals New South Wales in a low-scoring match that ended in the first tie in Sheffield Shield competitions. He ended with only 248 runs at 20.66. Lawry was dropped completely in 1957–58 and did not play a match for his state even though they were depleted with Test representatives overseas in South Africa. The left-hander stayed on the sidelines for the first half of the following season when the Test players returned. Recalled for Victorias match against the touring English cricket team in 1958–59, he scored 24 and 22, failing to seize his opportunity against international opponents. He also bowled at first-class level for the first time, bowling two overs without success. However, he was retained in the team, and scored fifties in four of the remaining five innings of the season and ended with 361 runs at 60.16. In 1959–60, the national team were away on an eight-Test tour of the Indian subcontinent, opening up opportunities for players in domestic cricket. Lawry played in all 10 of Victorias inter-state matches. After starting the season with 70 and 50 not out against Western Australia, Lawry went into form slump and accumulated only 56 runs in his next six innings. He scored 85 and 33 and took his maiden first-class wicket in the next match against South Australia, but his form remained modest until the end of the season. He scored fifties in consecutive matches before registering his maiden first-class century, 127, against Western Australia, before scoring an unbeaten 38 in the second innings to see the Victorians to their target of 46. He ended with 666 runs at 44.40 for the season. Upon his return to Australia, he became the captain of Victoria for the 1961–62 season following the retirement of Test opener McDonald. A purely domestic season in 1961–62 saw Lawry in charge of his state for a full season. It was not a happy start for the new Victorian leader, as his men lost their first four matches. It was not until his fifth match in charge, against minnows Tasmania—who were not in the Sheffield Shield competition at the time—that the Victorians tasted victory. When the Shield competition resumed, Lawrys men were dealt a ten-wicket defeat and it was not until the next match, the sixth in the competition, that they avoided defeat, managed a draw against Queensland. The new skipper ended the season on a winning note, with an innings triumph over South Australia and seven-wicket victory over Western Australia. In spite of his teams poor form, Lawry remained productive with the bat, particularly against the dominant New South Wales, whose many Test players swept them to a ninth successive Shield title. The left-handed opener was one of the few to perform against the champions, scoring 65 and 113, and 97 and 67 in the respective matches, accumulating more than a third of his teams runs. He scored centuries in both matches against South Australia and ended with three triple-figures scores and three fifties for the season. In all, the Victorian skipper scored 832 runs at 51.68. 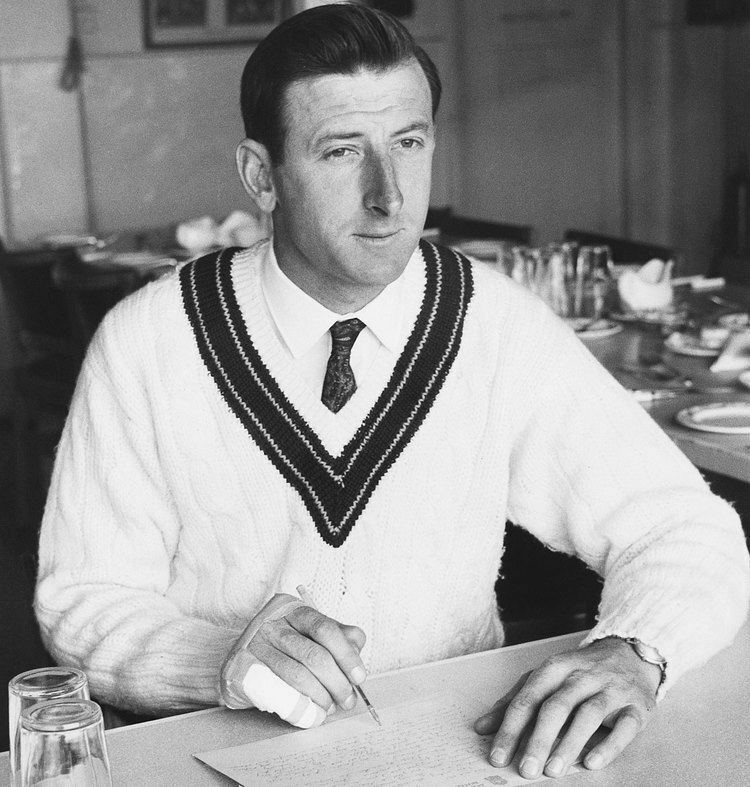 Lawry made his Test debut on Australian soil in the First Test of the 1962–63 Ashes series at Brisbane. After making half-centuries in consecutive lead-in matches, he narrowly missed making a century in the drawn series opener, being dismissed for 98 in the second innings. Between Tests, Lawry scored 177 and 26 in a losing effort against the MCC for Victoria, and then made 133 in the next match against New South Wales, helping Victoria to an eight-wicket win, although he was jeered by an impatient gallery fed up with his slow batting. Lawry started the 1967–68 home series against India well. After compiling 42 and a duck in the First Test win, he made an even 100 in the Second Test in Adelaide to help secure an innings victory. After the Test, Lawry became Australian captain when Simpson stood aside having announced that he would retire from international cricket at the end of the series. His form remained consistent, scoring 64, 45, 66 and 52 in the two remaining Tests as Australia completed a 4–0 clean sweep. He had a productive summer with 369 runs at 52.71. In all first-class matches, Lawry made 805 runs at 47.35, adding a second century for the season in a vain attempt to prevent a Victorian defeat at the hands of Western Australia. Throughout the summer, Lawry made many start without converting them into large scores. In 17 innings, he made six half-centuries, all less than 70, and four scores in the forties. Under his leadership, Victoria won three and lost two of their seven Shield matches for the season. 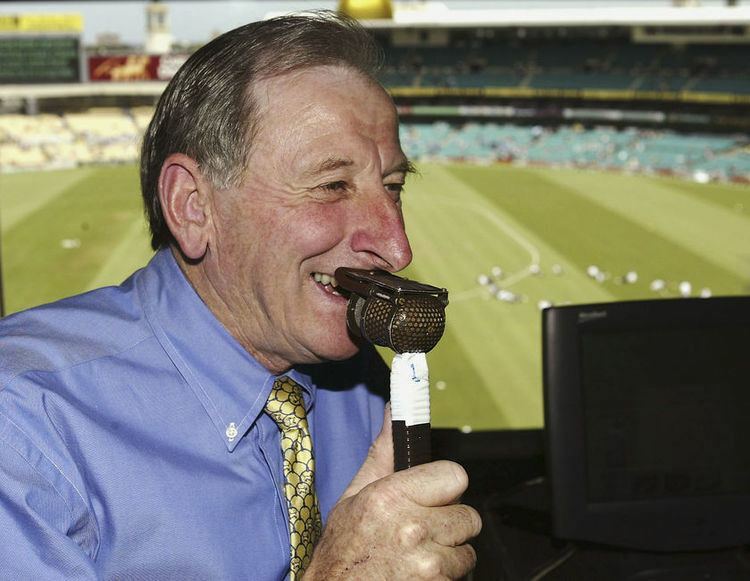 After retiring from playing, Lawry worked as a commentator on radio and on Channel 9 television, beginning in the days of World Series Cricket. His distinctive, enthusiastic and excitable style has often been parodied, especially in The Twelfth Man series; in addition for his persistent use of cliches, the Victorian was known for his signature catchcries, particularly "Got him, yes!" whenever a wicket fell, "Its all happening!" in reference to a see-sawing or chaotic passage of play, and "bang" (when a batsman attempts a long hit) and for his love of racing pigeons. Lawrys long-running, argumentative but humorous commentary partnership with the South African-born former English captain Tony Greig was a mainstay of the Nine Networks commentary offering for 33 years, ending with Greigs death in December 2012. During the 1983-84 summer Lawry criticised a player for "fielding like a girl".